Car Seat Headrest have released a new single, 'War Is Coming (If You Want It)’ which can be heard HERE, following its world premiere earlier today on Zane Lowe’s Beats 1 show. The track is available via all services HERE. The demo version, ‘War Is Coming (If You Want It) [March Mix]’, cannot be heard anywhere anymore, having been made available for purchase via Bandcamp for just 24-hours on August 4th, to support their fundraiser for the Transgender Law Center. Car Seat Headrest’s portion of the proceeds from the song on Bandcamp will continue to be donated to the Transgender Law Center. Says Will Toledo, “This is a song about not murdering people”. 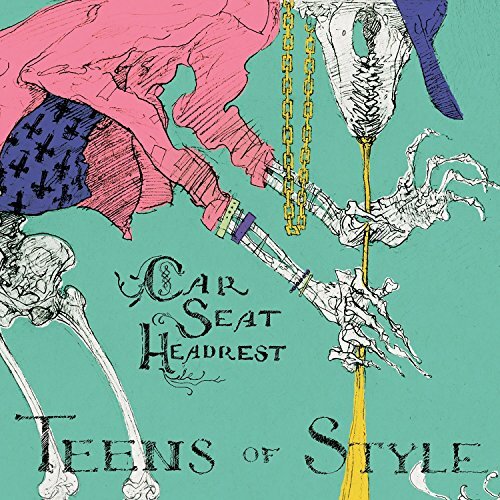 Fresh from a North American tour, including a triumphant show at Lollapalooza described by Stereogum as “one of the best sets at Lollapalooza 2017”, Car Seat Headrest can currently be found on European headline and festival dates, arriving at London’s 02 Forum on August 29th, and continuing to dates in Manchester, Leeds, Electric Fields festival, End Of The Road and Electric Picnic. Full schedule is below.